Cloudy color. Quite watery/thin on the attack, but the finish is stunning -- firely, long, and persistent, salvaging what would otherwise be a rather poor effort. A bit of a one trick pony, but at least it is distinctive. It was a little murky, and I've had better results with this wine before, so I suspect a slightly off bottle. 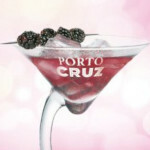 The aftertaste was the best of this Port; otherwise it was fairly watery as Chris suggested. Still very pleasant to drink at the moment. Fairly pale colour and quite a thin nose. Darkish but cloudy. Toffee on the nose. Slightly more muted in the mouth but still lots of caramel and treacle. Very attractive. CHR wrote: Weakish nose. Long finish. Cloudy. Pale red colour, looking slightly tired. Some coffee beans on the nose. Sweet in the tongue, little fruit and an awkward structure, lacking balance. Slightly hollow on the aftertaste and finish, not much other than redcurrant jelly and lots of sweetness. 81/100. I have had this once before, with much better results.